NEW YORK (Reuters) - Oil prices fell on Tuesday, slipping from five-month highs as Russian comments indicating a possible easing from its production-cutting deal with OPEC overshadowed the prospect that violence in Libya could further tighten global markets. A U.S. threat to slap tariffs on hundreds of European goods and a downgrade by the International Monetary Fund in its global economic growth forecasts took the steam out of the rally in global equities and also added to concerns that a slowdown this year will hit fuel consumption and prevent crude prices from rising even higher. 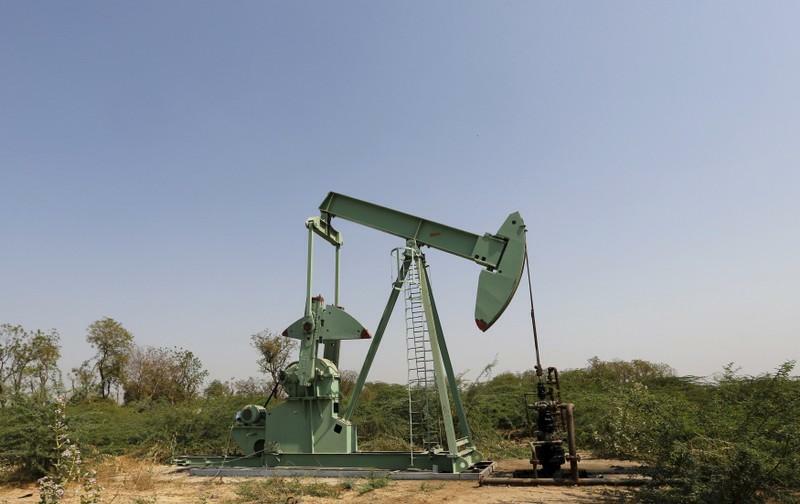 Supply curbs led by the Organization of the Petroleum Exporting Countries and allies like Russia have underpinned a more than 30 percent rally this year for Brent crude, despite downward pressure from fears of an economic slowdown and weaker demand. Brent fell 32 cents to $70.78 a barrel by 12:16 p.m. EDT (1616 GMT) after hitting $71.34, its highest since November. U.S. crude was down 37 cents to $64.03 a barrel after also reaching a five-month high of $64.79. "Several feedback loops are about to start spinning that stand in the way of a prolonged oil rally," said Norbert Ruecker of Swiss bank Julius Baer. Russia, a participant in the OPEC-led supply cuts that expire in June, signalled on Monday it wants to raise output when it next meets with OPEC because of falling stockpiles. The eastern Libyan National Army forces of Khalifa Haftar - a former general in ousted strongman Muammar Gaddafi's army - which seized the sparsely populated but oil-rich south earlier this year, closed in on the internationally recognised government in Tripoli, with casualties from the battle for Libya's capital mounting on Tuesday. Rising U.S. crude production and inventories also weighed on the market.